Under Armour Inc.’s yearlong restructuring received some much-needed validation Tuesday as the company reported earnings that surpassed estimates, sending the stock soaring. The Baltimore-based apparel company appears to be coming out from under an inventory glut that resulted in too many discounted sales and slower growth. 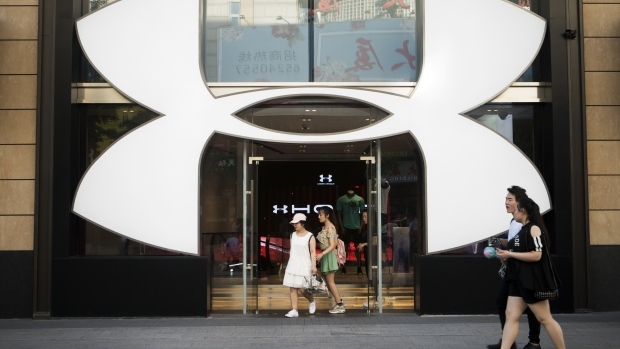 Under Armour lifted its gross margin to 46 per cent, higher than expected in its turnaround plan. Shares jumped as much as 25 percent in New York trading Tuesday, the biggest gain since October 2008. The restructuring plan came after the company’s stock tumbled from an all-time high of $54.70 in 2015 to US$11.40 two years later, leading Chairman Kevin Plank to call 2017 a “reset year.” Under Armour has since eliminated 40 per cent of its products to focus on the highest-selling lines, shortened the time it takes to get products to customers, and reduced spending on pricey professional sponsorships and licensing deals. It’s also cut jobs, including a paring last month that will lower the global workforce by 3 per cent, or 400 jobs. In total, the changes are expected to cost the company as much as US$220 million. That’s palatable to investors as long as the reset boosts the company’s health and efficiency. Executives have long said the changes would start to pay off in the second half of 2018, and Tuesday’s earnings were a step in the right direction. On the back of strong overseas sales, revenue for the quarter was US$1.44 billion, slightly outpacing estimates. Adjusted earnings per share of 25 cents also topped expectations of 13 cents. The company boosted its EPS forecast for the full year. 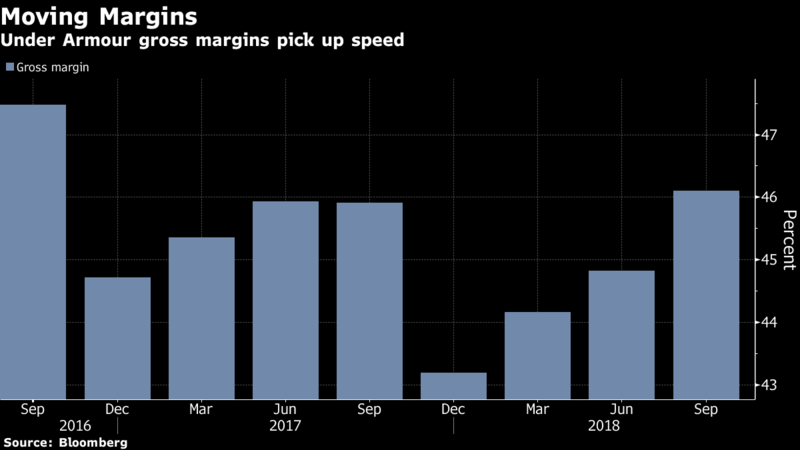 “We have been noting a clear focus on recovering margin and focusing on the health of the business, and with inventory clean, and [gross margin] up, we believe the company is doing just that,” said Instinet LLC analyst Simeon Siegel. There’s still progress to be made. After a brief North American rebound last quarter, Under Armour’s domestic sales fell 2 per cent. Unlike rivals Skechers USA, Nike Inc. and Adidas AG, a majority of Under Armour’s revenue comes from its home market. North American sales have now fallen in four of the past five quarters. Bloomberg Intelligence analyst Chen Grazutis also noted that international growth had slowed, footwear sales were down and direct-to-consumer sales were flat. Under Armour’s made two large additions recently, appointing Mohamed El-Erian to its board, and inking a five-year sponsorship deal with Philadelphia 76ers center Joel Embiid. The company is holding an investor day Dec. 12.